Big Red Tire rolls out expanded services and more service bays thanks to NEDCO. 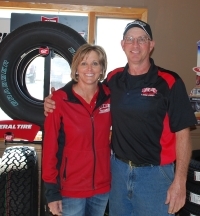 Big Red Tire, Inc. located in Lincoln was established by owners Dan and Lynda Kester in 2008. The business originally started with 2 bays in 2008 as a tire sales and service shop. 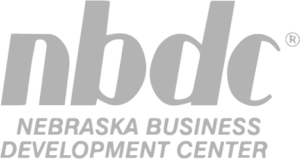 Thanks to an SBA 504 loan from NEDCO has expanded to 5 bays at its current location allowing the business to expand its automotive repair services that include alignments, oil changes, brake services, shocks, struts, and other minor mechanical repairs. 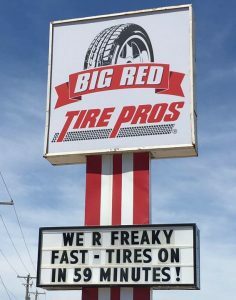 Big Red Tire sees its competitive advantage as being its high level of efficient service, customers get tires installed within 24 hours and a 30 minute appointment, competitive pricing, and strong customer service. For more information visit their website at www.bigredtire.com.